RETRY is a Arcade Game far Android RETRY puts you in control of a loop-the-looping, 16-bit airplane. Master the one-touch controls and navigate your way through treacherous obstacles with hair-raising stunts. It..
Tail Fight is a Arcade Game far Android Navigate through the field, collect bonuses and do not forget the tail. Depending on the game mode tail weapon or weak point. Tail Fight..
Gold Miner Adventure is a Arcade Game far Android Gold Miner is a most popular of classic, casual game. And now with Gold Miner Adventure you can play classic Gold Miner game..
Free Direct Download Android Angry Birds Star Wars HD from revdl.com. JOIN THE ANGRY BIRDS IN THEIR BIGGEST ADVENTURE YET! 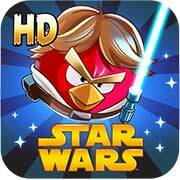 Android Angry Birds Star Wars HD v1.5.3 New was last.. Dark Slayer is an arcade game for android In a world of chaos, where the balance between good and evil has been lost, the legendary heroes will embark on a.. Gang of Three is an arcade game for android. The game was made in a 48 hour GameJam maraton by the crew of Panic Art Studios: Elias Viglione (Artist), Jussi..
Fist Of Jesus is an arcade game for android. FIST OF JESUS: THE BLOODY GOSPEL OF JUDAS, a hilarious gore beat’em up. ***What users say: “Holy cow, this is by..